SQ is wonderful especially Keith Don't Go. 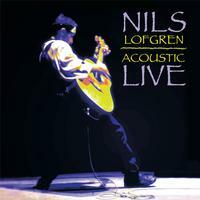 Nils is an awesome guitarist but just a fair singer and horrible songwriter. If you are just into great SQ then buy this. I find it hard to listen to after a while due to the fact most of these songs sound the same. The lyrics are more like nursery rhymes written by a child. Four stars though for sound quality.